You are here: Home / Blogs / Out of the Box / Thirsty? 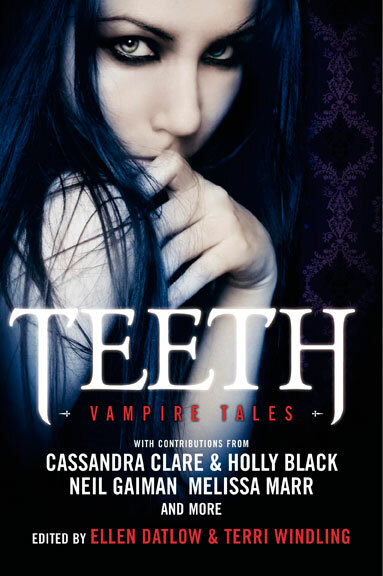 I’m currently appreciating Teeth: Vampire Tales (HarperCollins), an upcoming short story anthology edited by Ellen Datlow and Terri Windling. The big-name contributors such as Neil Gaiman, Ellen Kushner, Holly Black, Tanith Lee, and Garth Nix initially caught my attention, but it’s refreshing to find tales by authors I haven’t read before (Suzy McKee Charnas, Steve Berman) or haven’t read in this genre (Cecil Castellucci, Delia Sherman). With series like Twilight, House of Night, Vampire Academy, Vampire Kisses, and Vampire Diaries running at a minimum of four volumes each (often more like six or seven), sometimes vampire fiction feels as endless and unchanging as its undead protagonists. Short stories by new voices make for a nice change. The Fledgling Handbook 101 by P.C. Cast and Kim Doner (St. Martin’s Griffin) is a “nonfiction” companion to P.C. and Kristin Cast’s “vampyre” boarding school series, House of Night. 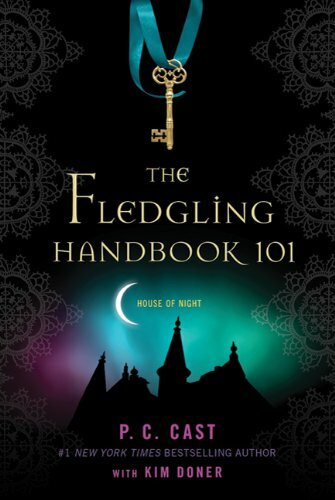 Purportedly a student handbook for incoming first-years (think J.K. Rowling’s “textbooks” Quidditch Through the Ages and Fantastic Beasts and Where to Find Them), The Fledgling Handbook covers history of the vampyre race, what to expect during one’s vampyre transformation, school rules and traditions. Journal sections allow the student to chronicle accomplishments and adventures while at the school. Cast and Doner create lore for the pseudo-Wiccan magic-wielding vampyres from human history and mythology, recasting monarchs, gods and goddesses, and artists as vampyres. Did you know Cleopatra, Boudicca, and Hippolyta were “Nightkind”? No? What about Cicero, Sappho, and Shakespeare? Clearly you weren’t paying attention in world history. >Reading one of the books by the Cast's, I found some plagiarism. Their "Cherokee" ritual came right from a new age website. Churning them out at that rate, apparently, means lifting text from the web! I am constantly amazed by your ability to find fault. Please enlighten us with more words of wisdom.